I dug out this old photo recently and had to upload it here. 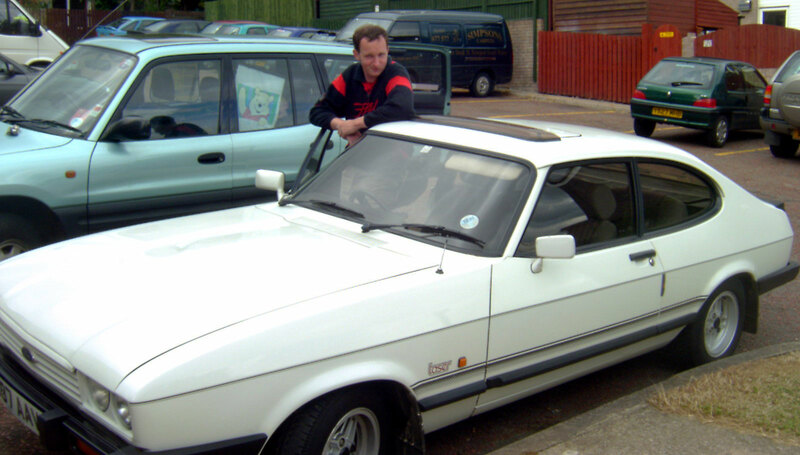 It was taken somewhere around 2004 and shows a 1987 Ford Capri that I bought, unseen, on eBay for £1,100. It was in excellent condition when I bought it, but alas due to daily commuting from Cwmbran to Bristol (around a 70 mile round trip) it didn’t last too long before it needed repairs that were too much compared to its value. It’s still a great looking car though and maybe one day I’ll get one again. Though, if I do buy another Capri it will be a 3ltr rather than the 1.6ltr that I had here. I might also go for Professionals silver, instead of white… or maybe one of each.